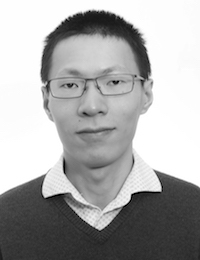 Dr Yadong Jiang is a postdoctoral researcher in the Large Structure Research Group of Faculty of Engineering, National University of Ireland Galway (NUIG). His work focuses on the development of turbine blade design and optimisation software package – BladeComp. Currently, Dr Yadong Jiang is working full time in the Large Structure Research Group under research projects Flotec, SEABLADE and MARINET II. His main responsibility in the group is to develop the design and optimisation software for full-scale wind and tidal turbine blade – BladeComp, which comprises advanced Finite Element (FE) analysis techniques and design optimisation strategies for efficient, robust and rapid design of turbine blades. Yadong Jiang received his bachelor degree in civil engineering at Tongji University, Shanghai, China in 2012. In the same year, he was accepted by IUSS, Pavia and started to undertake an MSc in Earthquake Engineering and Engineering Seismology. After the graduation of Msc, he worked as a researcher in Faculty of Engineering, University of Porto for one year. In 2014, he passed the UME admission and became a PhD student majoring in Earthquake Engineering and Engineering Seismology at IUSS, Pavia. In 2016, he joined the Erasmus+ Programme and spent ten months in Faculty of Engineering, University of Porto as an exchange PhD student. In 2018, he received his PhD titled with “Seismic Assessment of Composite Frames with Concrete-Filled Steel Tube Columns” under the supervision of Dr Ricardo Monteiro and Dr José Miguel Castro. Currently, he is a postdoctoral researcher of National University of Ireland, Galway (NUIG), where he is working with Dr Jamie Goggins under research projects Flotec, SEABLADE and MARINET II. Further information of Yadong can be found in LinkedIn, Research Gate and NUIG IRIS website. Further information about BladeComp and the NUIG Large Structure Research Group can be found here.